Does your business have a mobile app that allows your customers to reach out to sport, check their account, or otherwise interface with your company? If the answer is no, you may be missing out on a significant opportunity to foster deeper relationships and provide a more responsive user experience. Having a mobile app to support your business isn’t just an option anymore; it’s a must. Here’s why. Here’s the thing: websites – even when they’re responsive – are limited. While they do improve the user’s experience when browsing from mobile apps, there are still some devices and designs that just feel frustrating to use and navigate. 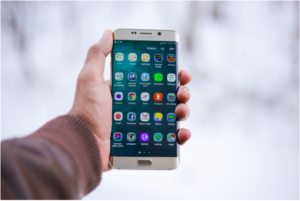 Turning your website into a mobile app, however, lets you overcome these challenges by literally building the app for devices first, instead of just making it compatible. That’s really what customers demand these days: ways to interface with your business more easily, more readily, and without traditional headaches. It gives them the power to interact, buy, request, or even complain and receive support, all from a mobile device, with fewer snags. If user experience is the biggest reason to create a custom mobile app for your customers, authority and brand awareness is easily the second. The simple fact is that, as people become more device-savvy, they expect businesses to have mobile apps ready and available in iTunes or the Google Play store. When a customer searches for your app, yet doesn’t find it, it gives them pause. How come you haven’t made the effort to make it easier for them to interact with you? After all, everyone else has one – why don’t you? Those questions can hamper your authority and reduce brand awareness as a whole. We talked quite a bit about user experience in the first section of this article. Right off the top, improving user experience makes customers more likely to interact with you again in the future. A great experience is a great experience, full-stop. That isn’t where it ends, though; good “experiences” within your mobile app may also have the desired side effect of boosting profits and conversions. We know that positive experiences are intricately tied to profits, but it also has a much more direct impact on conversions in online web shops and stores. Picture this: John just arrived home from work. While he’s playing on his phone lying in bed, he happens to see an influencer promoting your most expensive product. Since he already has the app installed, it’s a matter of about three to four clicks to switch over to it, enter his info, and buy. Normally, John would need to put in the time to call, get up and go to his computer, or maybe even wait until later to order. This difference may seem tiny, but it is very often a small push in the right direction for customers who are on the precipice of a purchase. At Go Digital WSI, we specialize in helping clients just like you find solutions to complex digital marketing problems. Interested in making mobile apps work for you? Reach out to us for your free consultation today.